All part of this exciting SUP Adventure! A fun filled Stand Up Paddle adventure for everyone, no previous experience necessary. 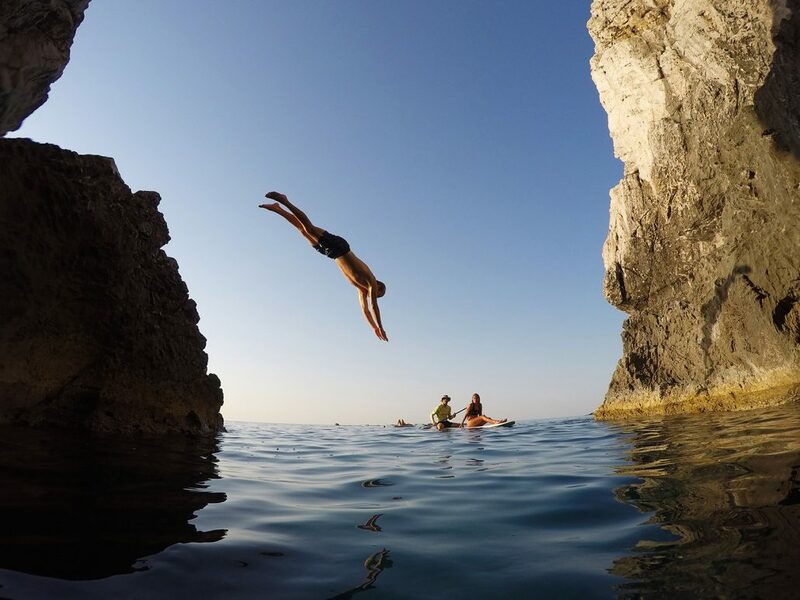 Our guides will start your adventure with a brief warm-up and introduction to SUP before taking you along the beautiful cliff lined coast of Rhodes. 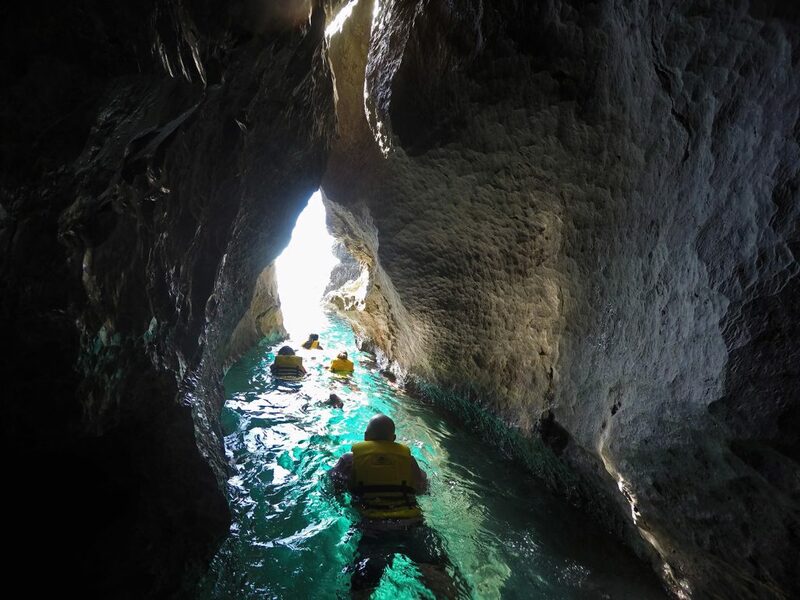 Includes swim/snorkel break at a secluded spot, exploring of a sea cave, and cliff jumping for those who dare!